Lieutenant Hamilton Henry Travers. Unit: 2nd Battalion, attached to 1st Battalion, South Wales Borderers (S.W.B). Death: 28 March 1915 Killed in action Western Front. He was 22. LIEUTENANT HAMILTON HENRY TRAVERS, 2ND (attd. 1st) BATTALION SOUTH WALES BORDERERS, who was born on 25th September, 1892, at Newport, Monmouthshire, was the younger son of Brigadier-General J. D. du B. Travers, who commanded the 40th Infantry Brigade in Gallipoli Peninsula, and of Mrs. Travers, Brooklyn House, Warley, Essex. He was educated at Wellington, and the R.M.C., Sandhurst, and received his commission in the S.W.B. in September, 1911, becoming Lieutenant in October 1913. He served with his Regiment in S. Africa and China, and was at home on leave from the latter station when the War broke out. He at once joined the 1st Battalion of his Regiment and went to France with them, as part of the 1st Division, and took part in the fighting at Mons, the subsequent retirement therefrom, the battle of the Marne, and the advance on the Aisne. Soon afterwards he was invalided home, but re-joined his Regiment at the end of December, 1914 and took part in the fighting and trench warfare up to the time of his death; he was specifically referred to by his C.O. for his work in the fighting in Givenchy, when he took command of his company on his Captain being wounded, and he was mentioned in Sir. John French’s Despatch of the 31st May, 1915, for his gallant services in the field. His brother officers testify to his popularity with all ranks, and deplore the great loss he was to the Regiment and the Army. He had the most lovable disposition, always bright and happy, and ever foremost in promoting healthy sport among his men, in which he took a prominent part with great success. Not only did Lieutenant Travers belong to a family that had many military distinctions, but his death severs a connection which his family had long had with the 24th Regiment, now the South Wales Borderers. One member of the family, Robert W. Travers, eldest son of Sir Robert Travers of Peninsula fame, was Captain of the 1st Company of the 24th at Chillianwallah, and was among the thirteen officers of the Regiment killed on that day. Another Travers only missed the catastrophe of Isandhiwana, in the Zulu war, owing to having left his Regiment for the command of the 48th Regiment a short time before; he of whom Lieutenant H. H. Travers was a grandson, afterwards was appointed Colonel Commandant of the School of Musketry, Hythe; his son, Brigadier-General Travers, father of the subject of his memoir, joined the S.W.B. in 1881 and saw much service with them in various parts of the world, and commanded the 2nd Battalion from 1908-11. Thus for an unbroken period of seventy-five years there has been a succession of officers of the Travers family in the direct line in this famous regiment. The elder brother (R.L. Travers) of Lieutenant Travers is now serving in the Queen’s Own (Royal West Kent Regiment) at the front, and another relative-H.M. Travers-on whom a decoration has just been posthumously bestowed, was killed near Ypres in November, 1914, while serving with the Royal Munster Fusiliers. 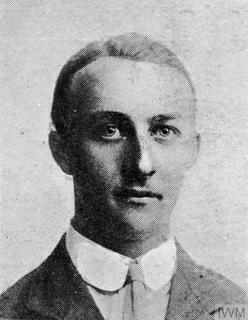 The Roll of Honour on the Club's website describes how the outbreak of the First World War 'seriously curtailed' the Club's activities and commemorates three of the first members of the Club to lose their lives whilst on active service: Lieutenants Hamilton Henry Travers, 'Jervis' Johnson and Dougal Campbell Clifford Sewell.